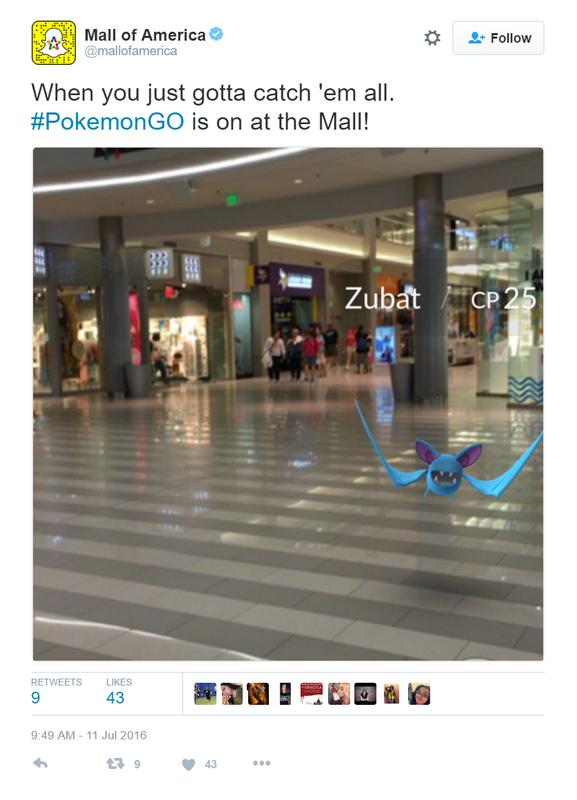 There’s no stop to the Pokémon Go craze. Rather the opposite. The developers are working at full throttle to manage the wave of the crazy obsession and make the app available over the globe. European countries are having a whale of a time thanks to the official launch. You can now download the app from the App Store and Google Play. While some people are already fed up and can’t stand the sight of the little monsters, others are obsessed and keep hunting Pokémon like crazy. 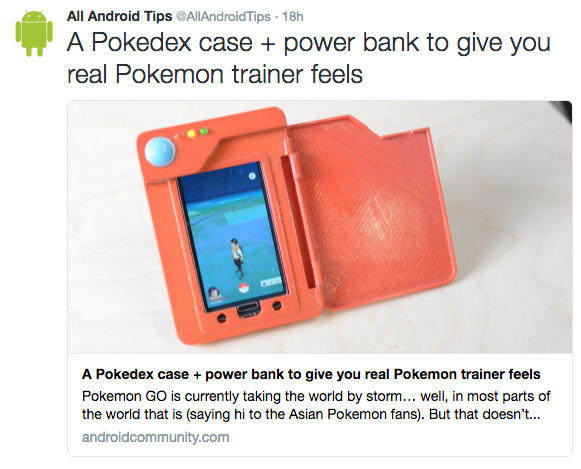 Jump on the Pokémon Go bandwagon now and approach your target audience in a different, fresh, new way. 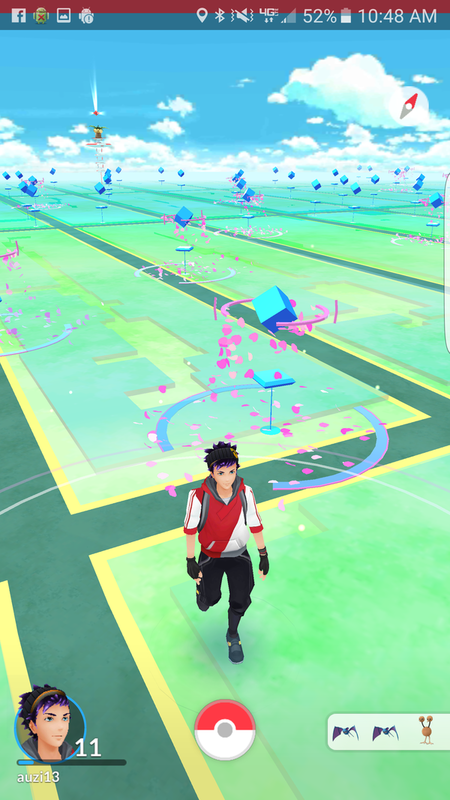 PokéStops are places where the fans can find all kinds of things – pokéballs, eggs, elixirs, etc. A good idea may be to offer not just typical products but also this kind of bonuses. The app Yelp has made a great use of this. It was originally designed to search for different services and shops. However, a new filter, “Pokéstop Nearby”, has recently been added which really boosted the app popularity. You can also approach the Pokémaniacs right on the spot. It is not uncommon to arrive at a PokéStop and see someone who will happily sell you a power bank so you can play along. 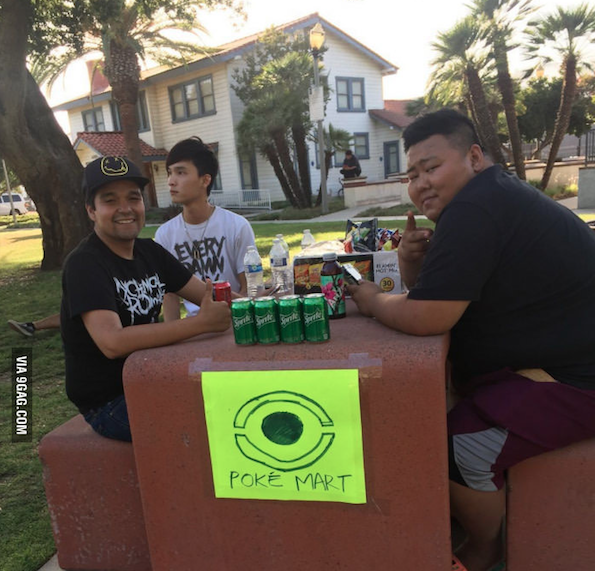 Alternatively, you may find a “Pokémart” with refreshments. 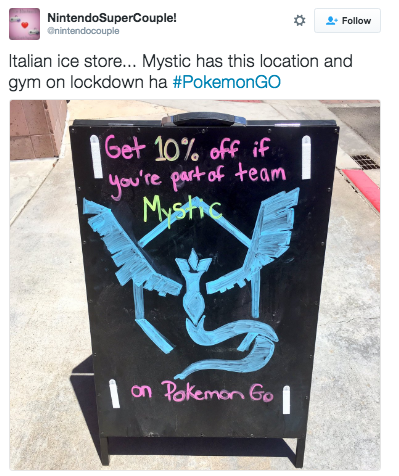 Just as you can use PokéStops locally, gyms are also very attractive. Is such a gym located at your place or just around the corner? Perfect! Arrange a battle in the form of an event and then make the afterparty right at your place. Why should players come to your battle and not someone else’s? Come up with an attractive prize for the winner and thus increase the motivation to participate! 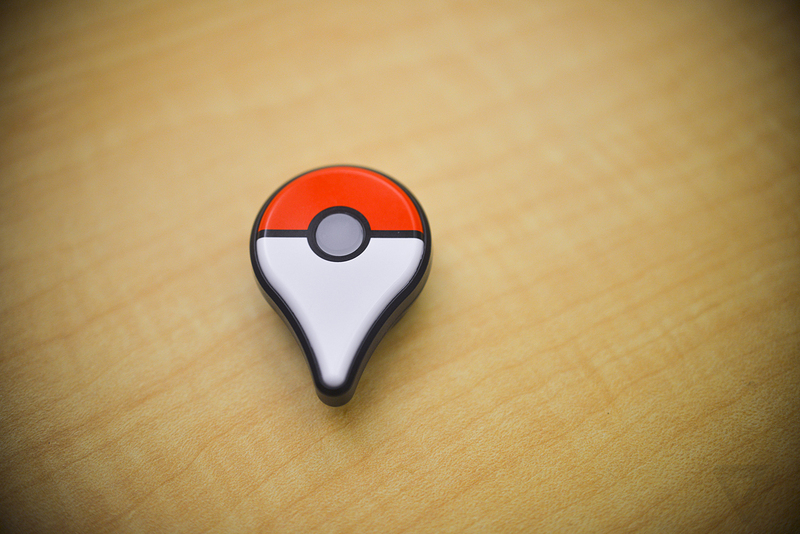 You can make PokéStops an even bigger sensation by placing a Lure module inside. This will help you lure Pokémon from the neighborhood as well as other players, which is crucial for you. 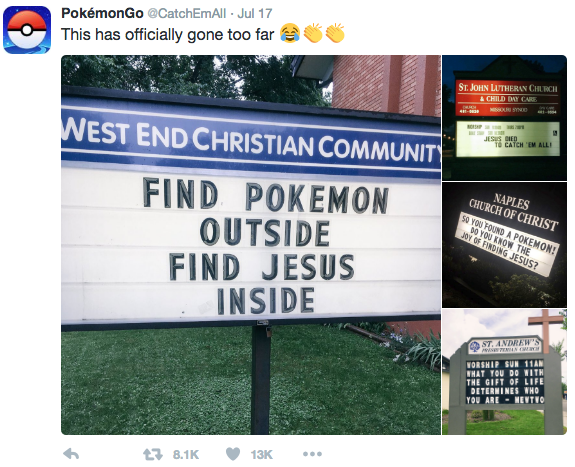 Are you lucky to have a PokéStop right on your doorstep? Organize a party here, add a few lures, and attract people closer to you. Such packages are inexpensive and effective at helping you reach your exact target audience. A lure only lasts 30 minutes. So consider how many you’ll purchase and how you’ll best use the time to your advantage. A few examples of their great use may be in shopping malls, museums, or sports halls. 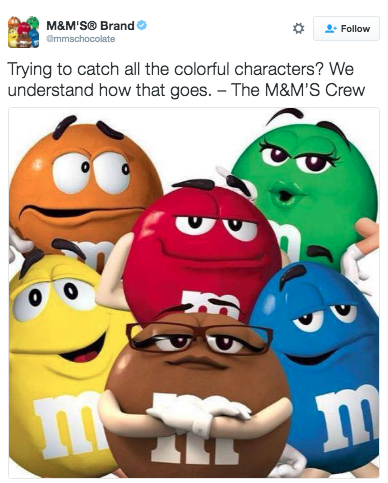 Each has its own character. Approach teams specifically or assign your identity to one and become a part of it. Maybe there’s one that exactly fits your brand. Create an event with a special route and well placed gyms. 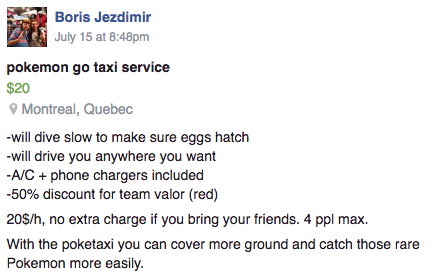 Organize a hunt for Pokémon. Come up with rewards for the winners, subject to the condition of check-in in your store. 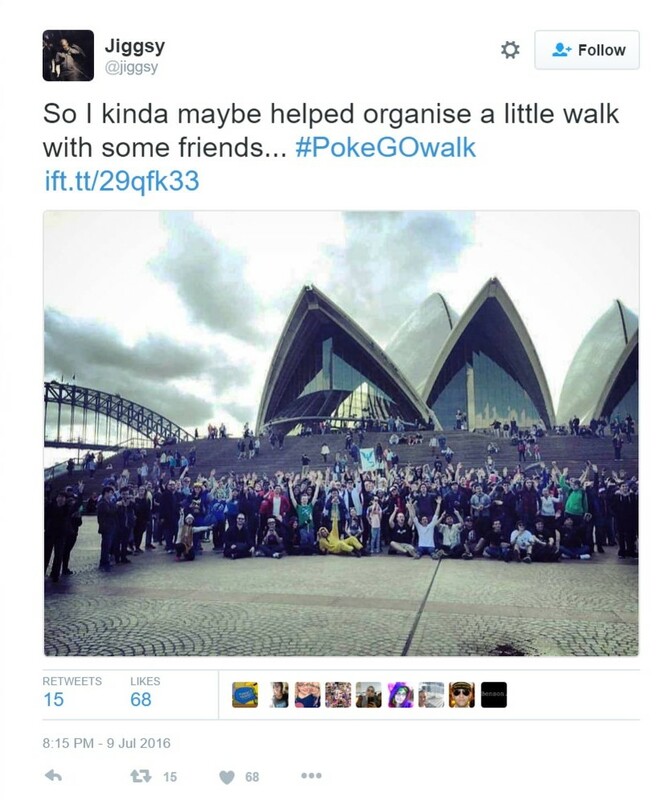 Such Pokémon chasing may be a great teambuilding. Create several teams that will compete and try to get the most points in a given time. Like a laser game without shooting. Even though it is a mobile game, it is, in fact, physically demanding if you want to be top level. 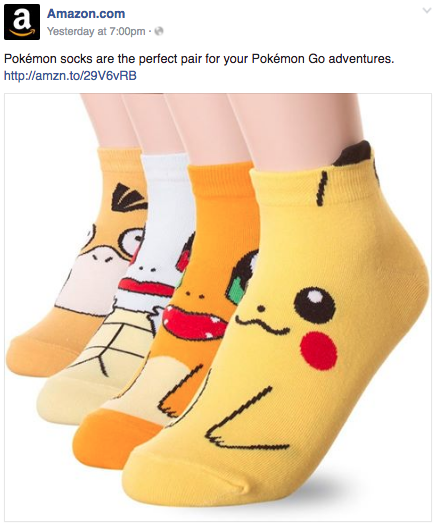 That’s why Amazon offers socks that are ideal for an adventurous search for new monsters. 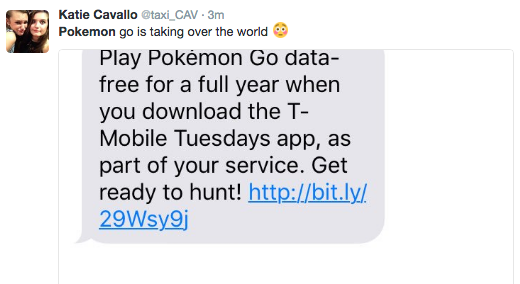 It is not only taxi companies that make the hunt easier but also people who would like to make some money on the side by driving Pokémaniacs around the city. The other downside are mobile data that you run out of as quickly as the last weekend flew by. A perfect opportunity for telecommunication companies to offer a bonus for their clients. A huge minus is safety. People often forget that they are still in real life, and there have already been a few gamers who got injured while hunting Pokémon. 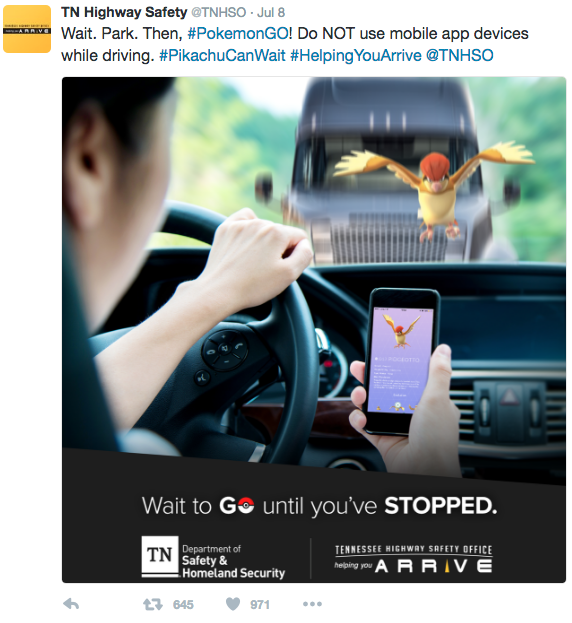 Now is the ideal time for insurance companies and their special PokéPackages and advice. 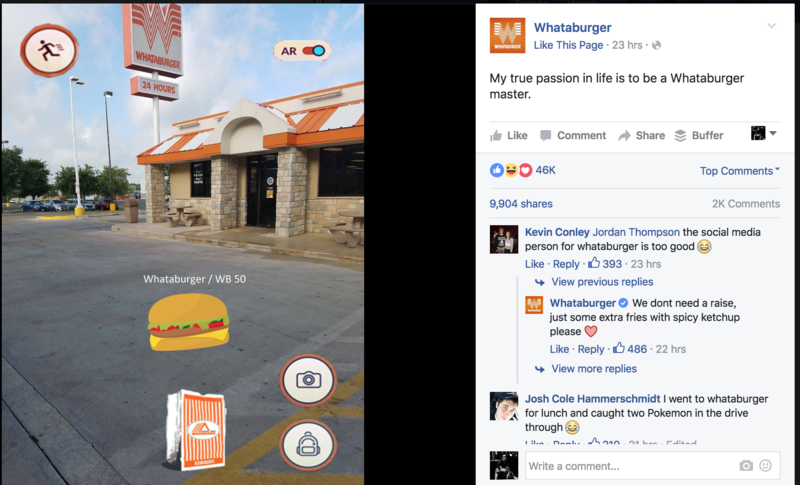 Many brands have jumped on the wave of this trend, and social media is loaded with tips, tricks, and funny collages. It is very important that you convey a message that has an insight rather than just make posts without any idea which will inevitably get lost among all the others. 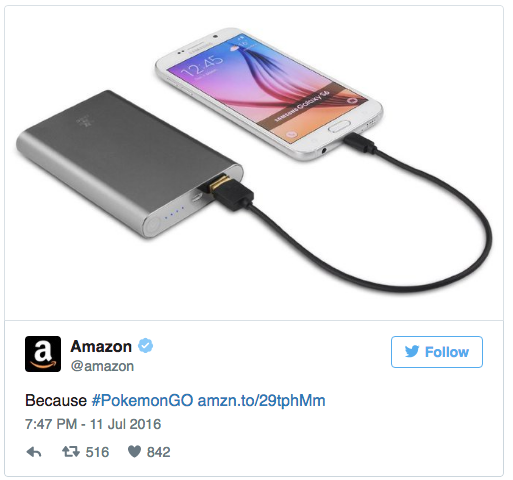 Here, you can see how some companies have already used Pokémon Go in their marketing. Partnership of Pokémon GO and McDonald’s has been confirmed. 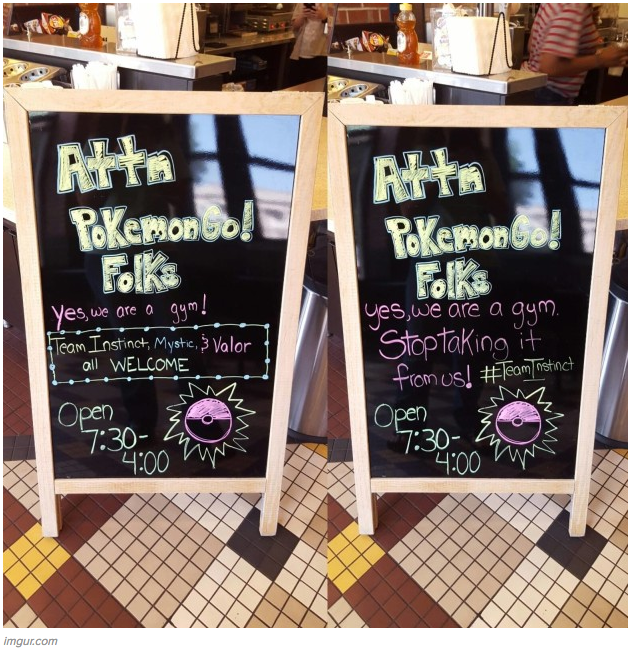 Every McDonald’s restaurant will be either a PokéStop, or a gym. 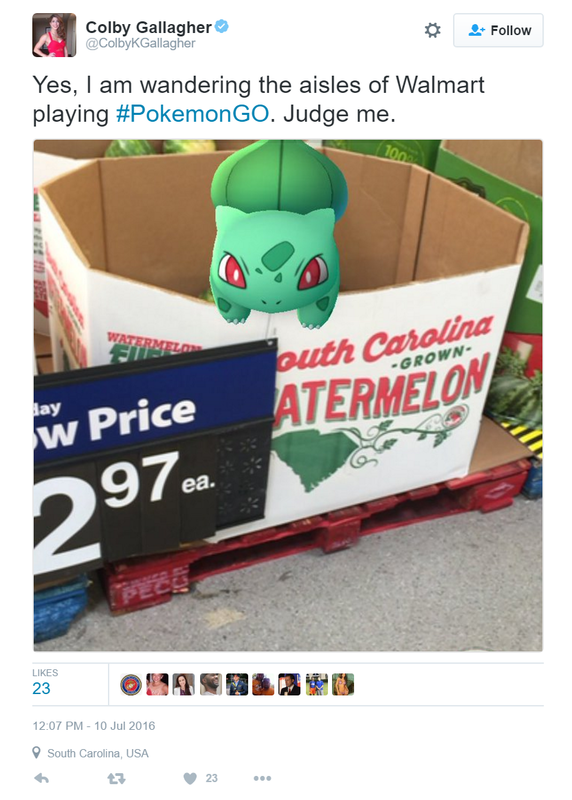 Don’t miss your chance and jump on the Pokémon GO bandwagon! And remember to plan your social media content to make it work. Kontentino lets you easily plan and approve social media posts. Start now and get one month for free!